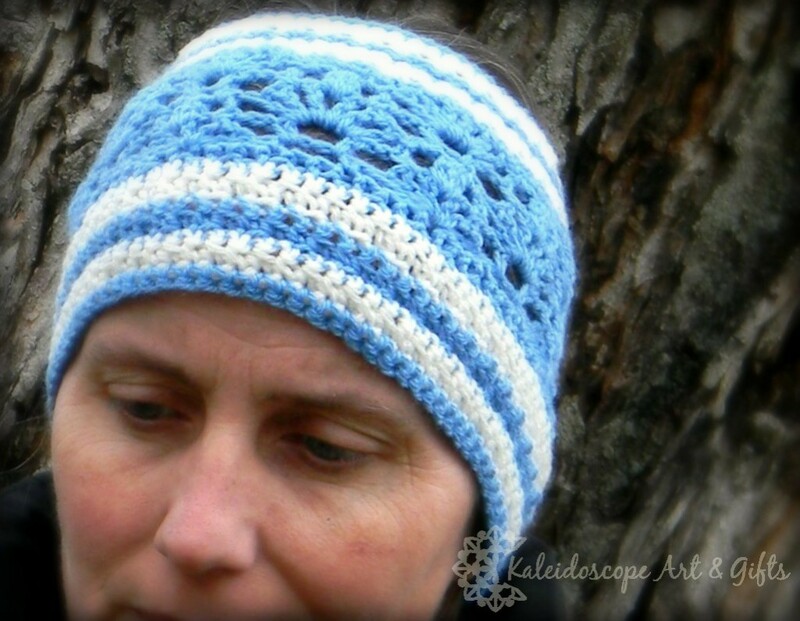 Lovely Lily Earwarmer Crochet Pattern – Freebie! It’s been a while since I’ve done one of these designer showcases….and I couldn’t be more pleased to be featuring Lisa Jelle of Kaleidoscope Art&Gifts! 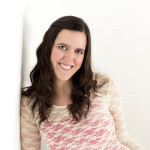 Please head over and check out all her fun work on her Ravelry Page. Lisa has written up a really beautiful sample pattern for us to try out! The color options on this one are limitless…..I can see some truly gorgeous Earwarmers being crocheted using this pattern! Some kind of thick and squishy roving yarn, the kind that everyone is making those heavenly arm knit blankets with? Yeah, I could get lost in myself if I was that yarn. We recently moved into a smaller house and I don’t currently have a designated office/crafting room anymore (though we’ll be building me a She-shed in the backyard this Spring, lol) so I have a corner of the living room with a big comfy chair and space for all my “stuff” around me…I can still be part of the family happenings that way. I’m constantly rolling unorthodox ideas around in my head, or sketching them out. Using alternative materials, designing things no one expects to see made out of yarn, etc. Part of the thrill of those ideas is the challenge I think….breaking the rules, making people think. 4. Where do you craft? What’s your fav part? I craft anywhere and everywhere. I’ve coined the word “carchet” because we live in very rural part of our state and end up on pretty long car rides regularly, so I’ve adapted my car ride environment to be able to keep working….I mean c’mon, that’s VALUABLE productivity time. The husband is concentrating on driving and the kids are literally physically strapped down (lol) and sometimes sleeping (bonus: silence). My motto in life is “Life isn’t about finding yourself, life is about creating yourself~Anonymous” and I believe that to my core. Oh my, the nearest store to us that sells yarn at ALL is about an hour and a half away…so I would pretty much take what I could get. When we travel, I’m discovering those unique independent yarn shops with little coffee bars or reading nooks and overstuffed/inviting furniture. Drop me off and pick me up when it gets dark, right 🙂 ? 2. Share with your friends on Facebook, Pinterest, G+, or Twitter using one of the social sharing buttons shown at the bottom of this post. 3. Click Here to Download Your Free Pattern Now. I love the ear warmer pattern. I’m going to start on it right away to make for my son’s girlfriend. Thank you for the pattern. I love reading your blog each week. I get a lot of useful ideas from you. I don’t crochet but this is a very nice pattern. I can’t wait to see the knit along that starts tomorrow. Thank you so much for this warm pattern to keep your ears nice and warm.. Thank you. Wish I had know about you last year. Looks like a fun blog. Can’t download ear warmer pattern. Thanks for sharing your experience and patterns.